Rheinmetall will have a 74.9% stake in the joint venture, with Rohde & Schwarz holding the remaining 25.1%. The joint venture plans to draw on the expertise of additional partners during individual project phases. MoTaKo and MoTIV are the German Army’s principle modernization projects. Total order volume is likely to be in the mid-ten-figure euro range, with thousands of Bundeswehr vehicles alone earmarked for retrofitting. Developed in tandem, MoTaKo and MoTIV will form the future Army /Joint Support digital command and control system. In the yet-to-be-established joint venture company, Rheinmetall will be responsible for the command systems, the cross-functional operator interface and the complete vehicle integration process. Rohde & Schwarz will contribute its IP-based system solutions for secure communications. Rheinmetall brings to the relationship its experience as a systems supplier and general contractor, which is complemented by the expertise of Rohde & Schwarz, a proven partner for wireless communication and network and cyber security. 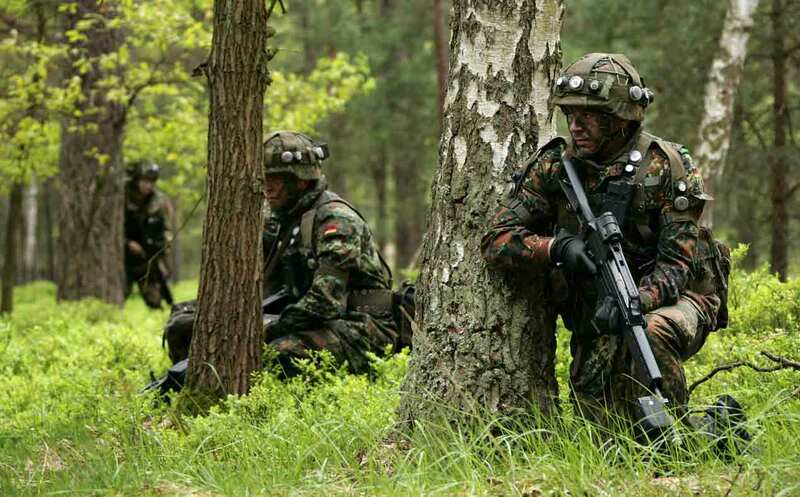 A white paper published last year on German security policy and the future of the armed forces, foreshadows a leadership role for Germany in EU defence and German participation in collective defence tasks under NATO. Russia is now seen as the greatest security threat by NATO and the EU. The International Institute for Strategic Studies says any additional funding—which is likely to be modest—in the German defence budget from 2016 to 2020, is likely to be directed towards the army.